Cheil Worldwide Ukraine has created a heartwarming campaign for Samsung's new Space Max fridge. 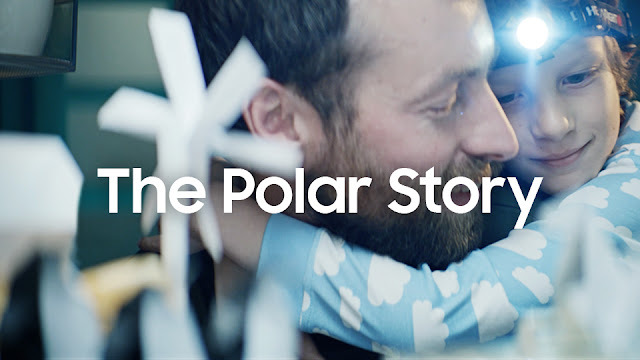 The ad, which features the strapline “More space than you can imagine,” shows a boy counting down the days until his father returns home from work on a polar station. At the end of a month-long wait, the father returns to find his son has created his own polar world inside the fridge, featuring paper animals, machines and a paper version of himself. A “Welcome home!” message has also been woven into the scene. The ad uses the insight that many people in the Ukraine have to be smart with storage due to kitchen size. The Samsung Space Max fits perfectly into the place of your old refrigerator, but can store many more goods. SpaceMax Technology has also made the walls thinner and increased the inner capacity without compromising energy efficiency. Olga Kravchuk, HA Marketing Manager, Samsung Electronics, Ukraine, said: “In Samsung we truly believe that technology can help people to be more creative. With our new film, 'The Polar Story', Samsung describes how SpaceMax technology provides more space than it is possible to imagine: sufficient even for the creation of an imaginative polar landscape. Innovation and creative imagination go together in the modern world”.